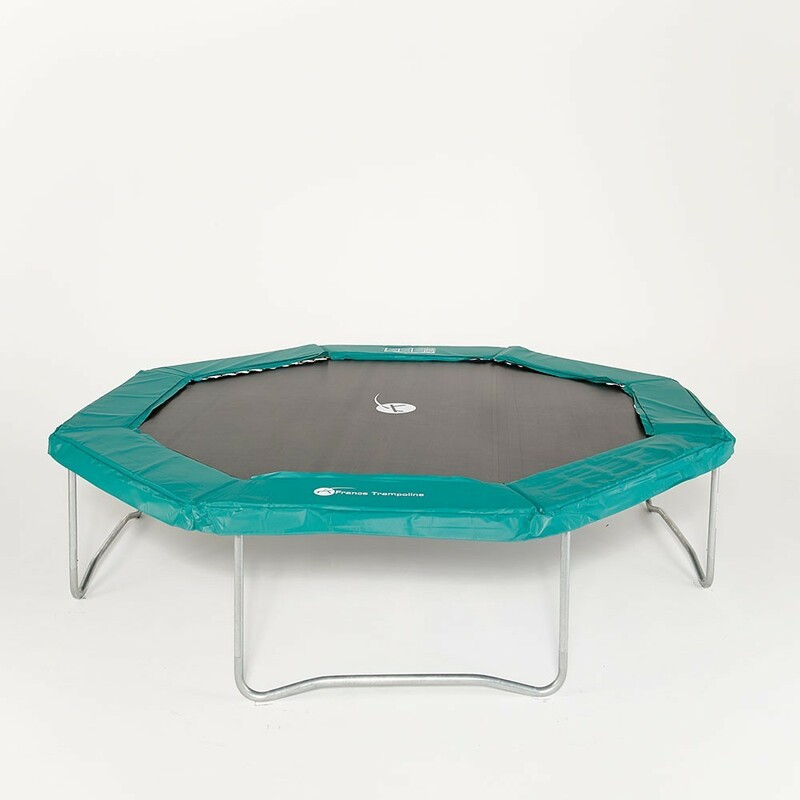 Replace your worn-out octagonal 390 trampoline to keep on enjoying the trampoline experience. Octagonal trampoline sold without safety enclosure. 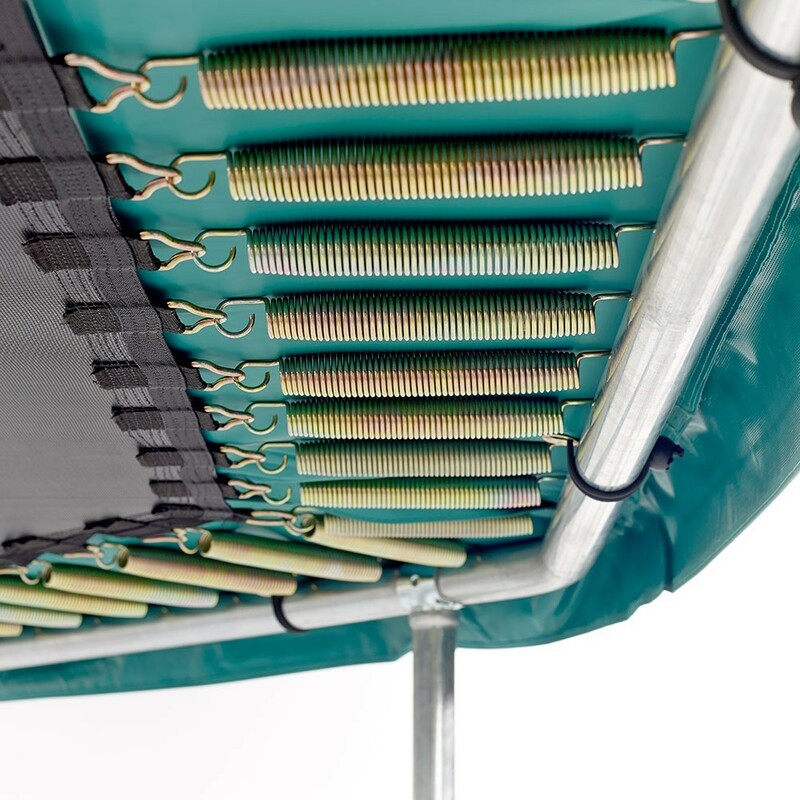 The frame, springs, and jumping mat of your trampoline are guaranteed for 3 years. The safety pad is guaranteed for 1 year. 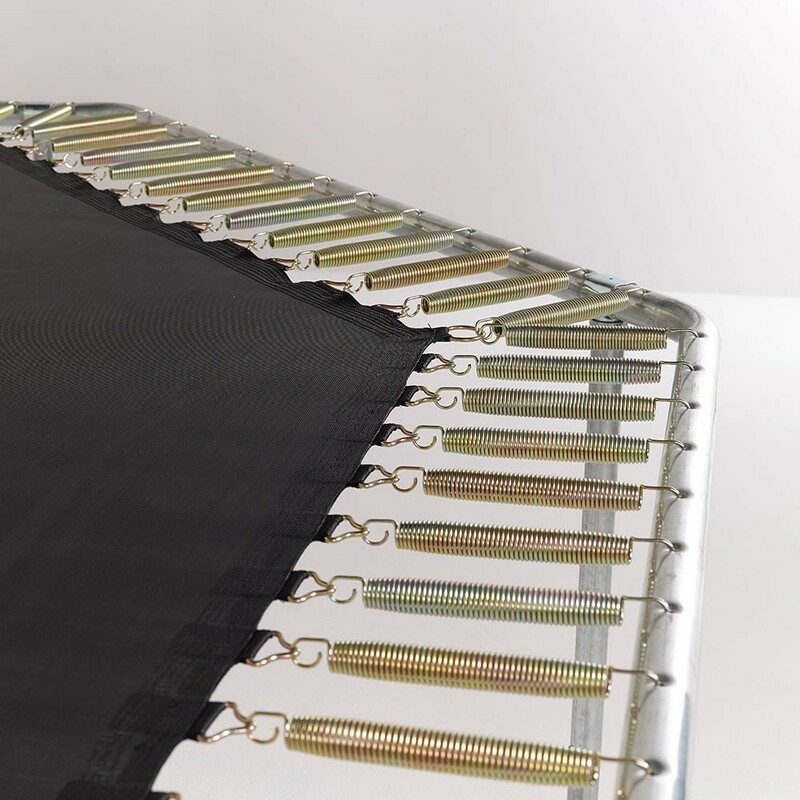 After several years, your outdoor trampoline may show signs of wear and may need to have some parts replaced. 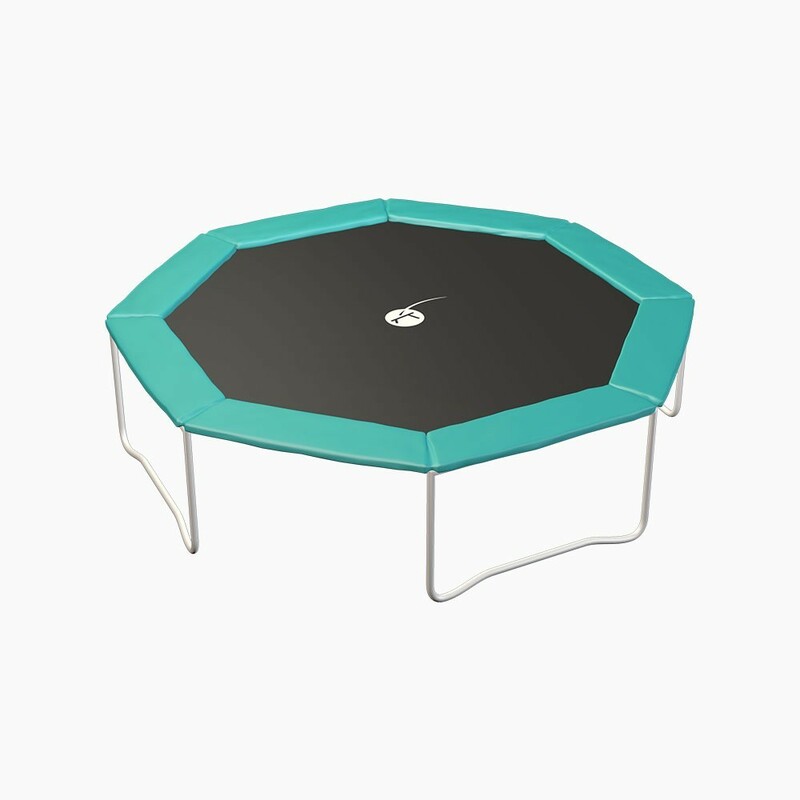 In this event, replace your old trampoline with France Trampoline's octagonal, 3.90-m diameter Waouuh. 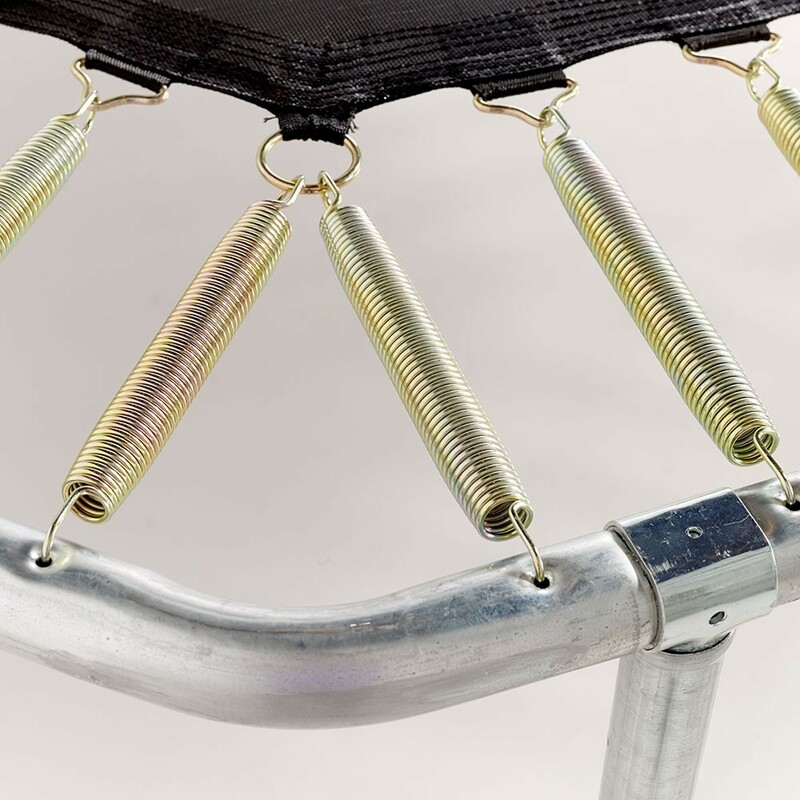 It is equipped with 4 W-shaped legs for maximal stability, and is the ideal replacement for your old trampoline. 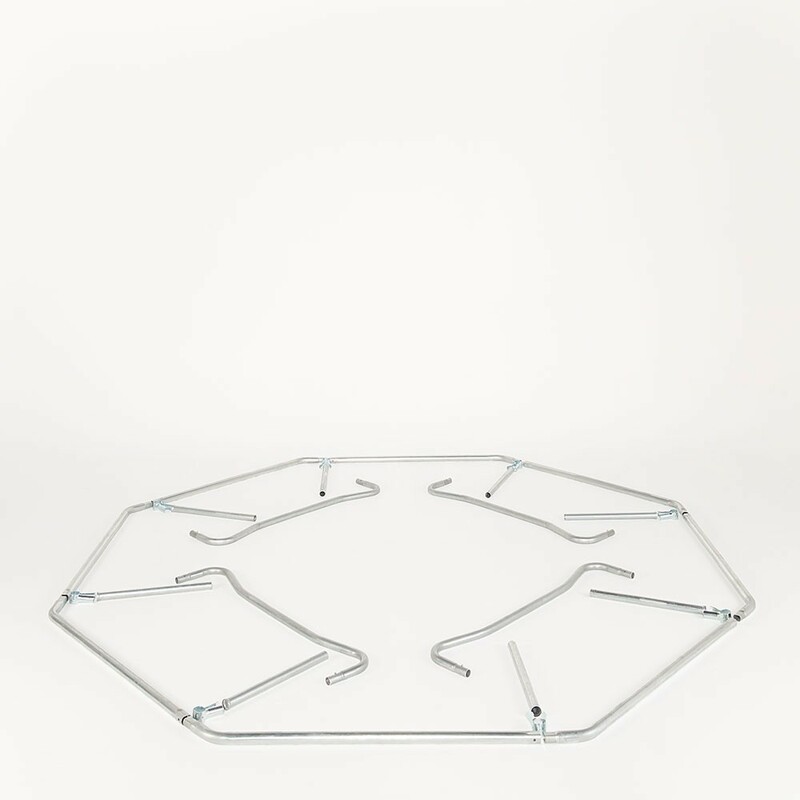 The trampoline's outer frame is made of very resilient, hot-dipped galvanized steel. It can withstand weights of up to 160 kg, making it fun for the whole family. The frame is also UV- and corrosion-resistant. 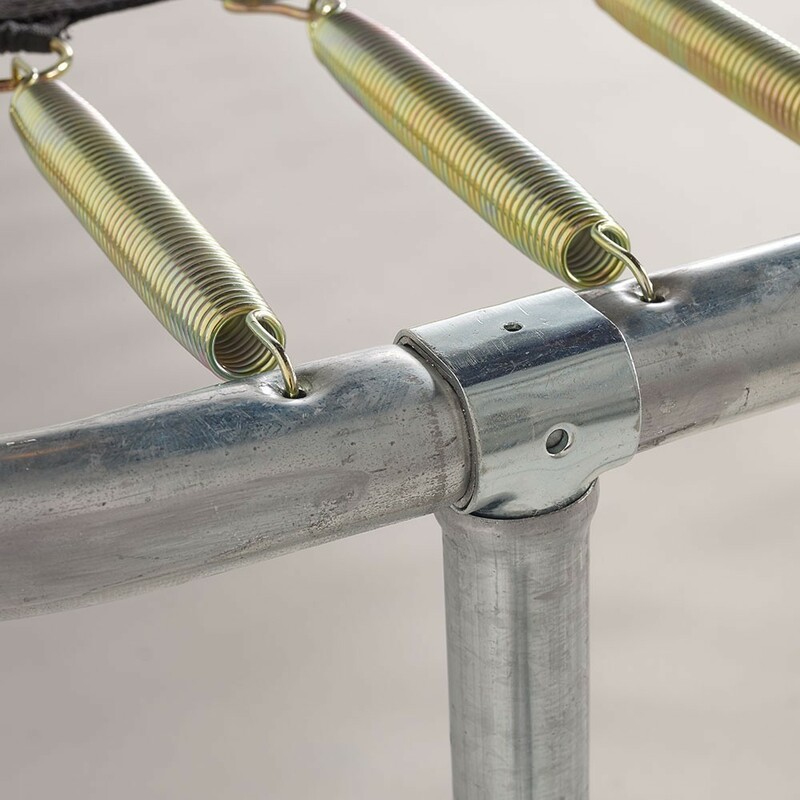 This octagonal trampoline is equipped with 96, 230-mm springs with high coil tension for more dynamic jumps. 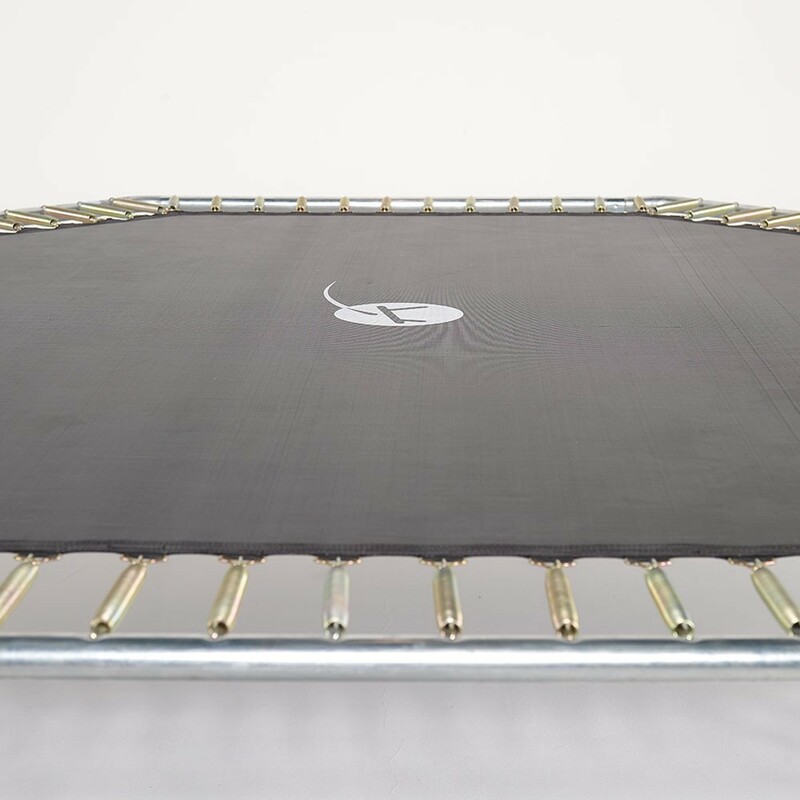 - The jumping mat of the Waouuh trampoline comes in black, water- and UV-resistant polypropylene. 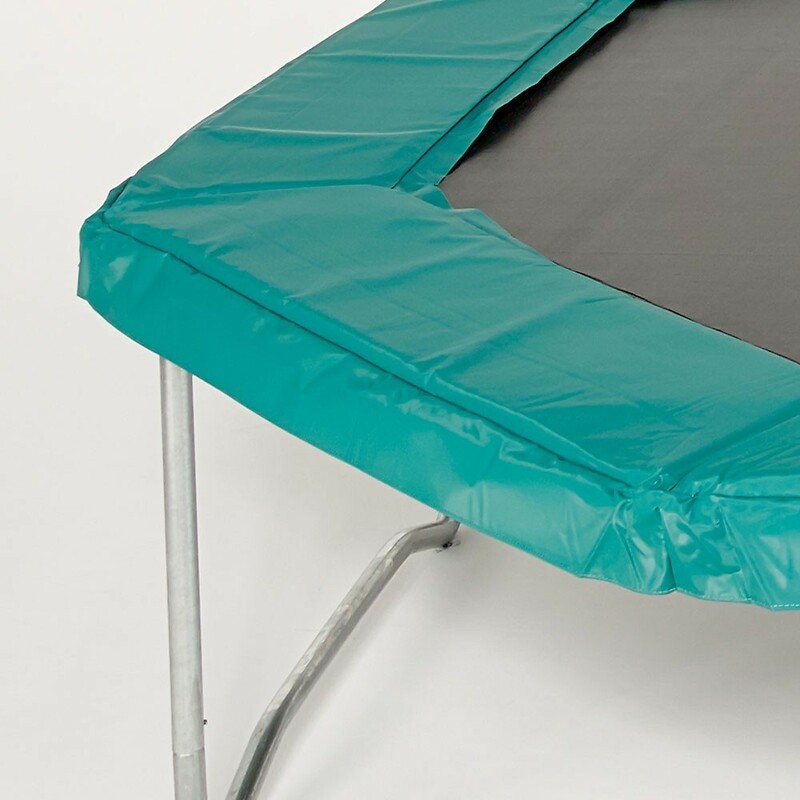 - For increased safety, the trampoline is equipped with a thick safety pad, and a PVC skirt to hide the frame. 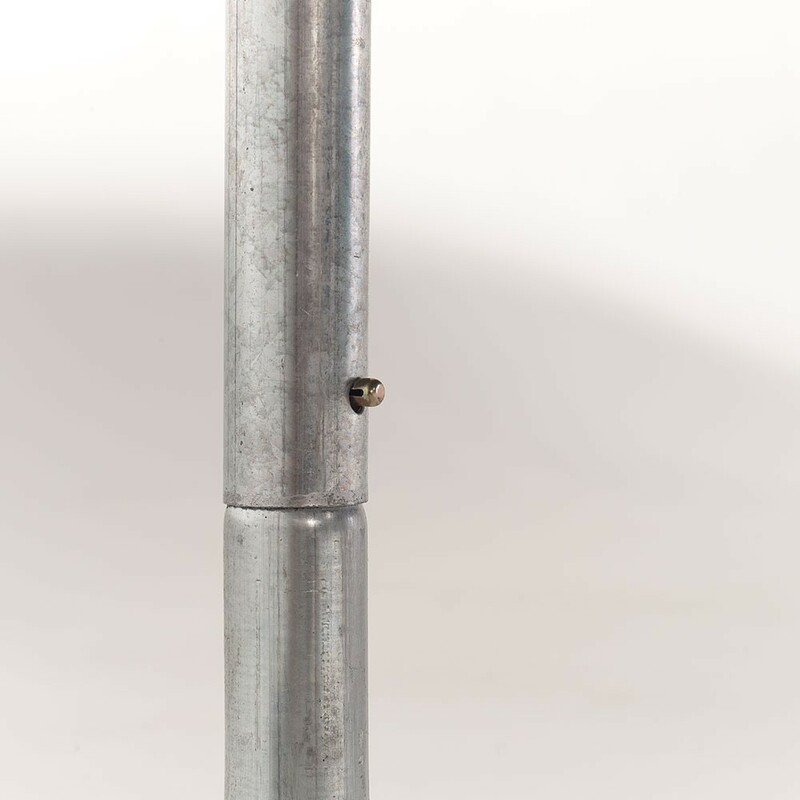 Compatible with a safety enclosure comprised of 8 vertical net posts.